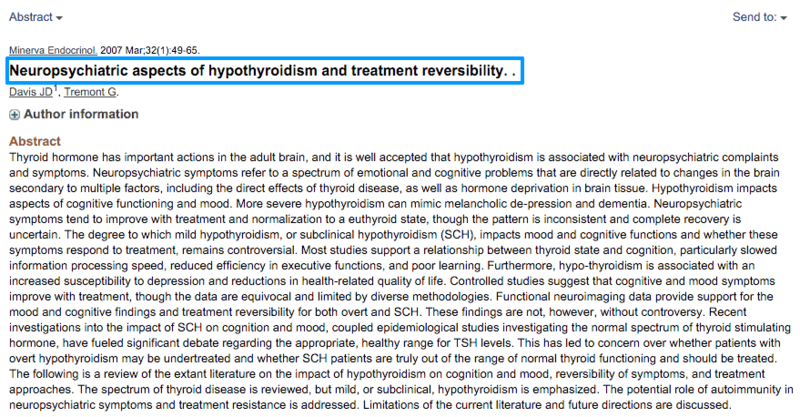 Why do so many patients with Hypothyroidism and Hashimoto's suffer from brain fog? Is there a connection between these two disease states? The answer is yes and we are going to explore why in this post. It's important to understand that Hashimoto's disease is an inflammatory condition. Hashimoto's is an autoimmune condition which stems from disordered immune function in your body. This means your body is attacking itself and the majority of this attack occurs in the thyroid gland. For this reason, many patients with Hashimoto's ultimately end up taking thyroid medication. You may be aware that your body is attacking your thyroid gland, but did you also know it may be attacking your brain? There appears to be some cross-reactivity between thyroid antibodies, inflammation, and your brain tissue. The condition of Hashimoto's encephalopathy highlights this important connection. It has been shown that, rarely, people with Hashimoto's develop a reversible cause of encephalopathy which is responsive to steroids. The exact mechanism as to why this occurs is not well understood but we can learn more taking a deeper look into how the food that you eat influences your body. It means that there is the potential for cross-reactivity between your immune system and your brain tissue. It's certainly possible that your body may develop antibodies to gluten particles which then cross-react with your brain and cause damage to brain tissue. This may explain why some patients experience more brain fog than others (because not everyone with Hashimoto's will have gluten intolerance). This isn't the only cause of brain fog in those with Hashimoto's, but it's certainly worth considering in almost every patient. Neurological symptoms are VERY common in Hashimoto's (and hypothyroidism). Unfortunately, most Doctors tend to attribute them to "aging", just being "forgetful" or depression. If you have hypothyroidism you should never ignore symptoms relating to your brain because your brain may be an early indicator of a deeper problem. As you might guess (like most things I talk about) neurological symptoms like brain fog, poor memory, and confusion can be caused by a number of different things. The protein gluten is found in certain substances such as wheat. It's the target of intense scrutiny and study recently because of its association with many different symptoms and disease states. The condition Celiac disease is an autoimmune disease in which your immune system targets and attempts to destroy this protein. This results in the production of antibodies which can damage your intestinal tract, brain, and other tissues. Celiac disease (the autoimmune condition) should be differentiated from gluten intolerance or gluten sensitivity. Gluten sensitivity is not an autoimmune phenomenon like Celiac disease, but instead a different condition entirely. In this condition, your body doesn't create antibodies to destroy gluten but it seems to be intolerant to the protein and reacts in other ways. What's interesting is that gluten intolerance (termed non-celiac gluten sensitivity or NCGS) seems to affect systems and tissues predominately outside of the gastrointestinal tract. If you are someone who is experiencing brain fog related to either hypothyroidism or Hashimoto's then it may be a good idea for a "gluten-free trial" for 30-60 days. This is true even if you test negative for gluten antibodies because it's possible that even if you don't have the autoimmune condition Celiac disease, you may still have NCGS. Not sure how to get started going gluten-free? 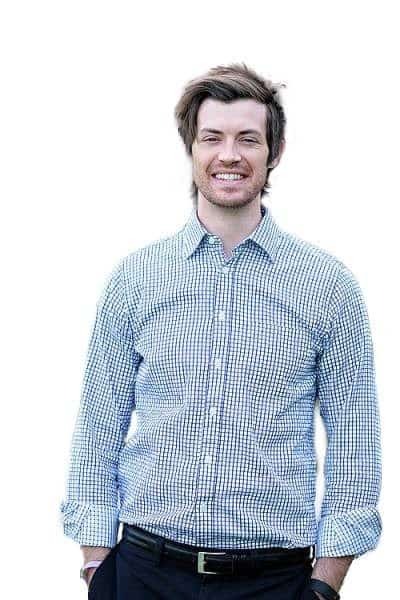 See my 10 Day Thyroid Reset Diet for more info to jump-start your diet. Treatment: Remove gluten from your diet for at least 3 months. Follow your antibody levels and symptoms throughout this time period. Make sure you remove ALL sources of gluten, not just the obvious sources from bread/wheat and remain 100% gluten-free for this time period. You can re-introduce gluten at that time to see if your symptoms revert back. This will help you know how to alter your diet to your body. Not everyone with Hashimoto's or Hypothyroidism will need to be gluten-free. It turns out that your brain tissue is exquisitely sensitive to even small changes in the amount of thyroid hormone in your body. We know that Hashimoto's is a disorder of the thyroid gland which may result in the condition known as hypothyroidism. If you have Hashimoto's and brain fog then you need to ensure that you are taking thyroid medication if necessary. You can evaluate if you have sufficient thyroid hormone in your body with basic blood tests. You'll want to focus on the free circulating thyroid hormones free T3 and free T4. Thyroid resistance can occur in any tissue in the body and some tissues seem to be more sensitive to it than others. The sensitivity of tissues has to do with their ability to convert the inactive thyroid hormone T4 into the active thyroid hormone T3. Some tissues contain enzymes which readily convert T4 into T3 while other tissues may not. If you have Thyroid resistance, and the symptoms above, it may be a good idea to have your Free t3 to Reverse t3 ratio checked. This ratio is sensitive in detecting thyroid resistance. If your Brain Fog is due to Brain tissue hypothyroidism, (5) then you will have to increase the amount of thyroid hormone getting to your brain either by increasing your dose or switching to a different thyroid medication. The use of certain supplements, such as those designed to improve thyroid hormone, may help improve thyroid function in your body and reduce your symptoms. Treatment: Check Free T3 levels and Reverse T3 levels. Calculate the ratio by dividing Free T3/Reverse T3. This ratio should be > 0.2. If you have thyroid resistance talk to your Doctor about dosing your thyroid hormone or potentially changing your medication to include T3. Another important cause of brain fog and decreased cognition is due to the hormone insulin. Insulin, which you may have heard of, is the hormone responsible (at least in part) for type II diabetes and many other serious medical conditions such as heart attack and stroke. The condition of insulin resistance is also responsible, at least in part, for the climbing rates of obesity and weight gain in the United States. If you have hypothyroidism or Hashimoto's then the chances are high that you also suffer from the inability to lose weight. It's known that there is a connection between thyroid hormone and insulin levels, such that disorder to thyroid hormone may increase your risk of developing insulin resistance. This connection is one of the reasons (but not the only) that patients with thyroid disease suffer from weight gain and weight loss resistance. But this connection is more concerning than just its effects on fat tissue. Insulin levels not only cause you to gain weight, they are also associated with an increased risk of Alzheimer's and other neurological problems. In fact, the link is so strong that Alzheimer's has been coined type 3 diabetes (6) in some studies. When insulin levels are high your body a special hormone called hormone-sensitive lipase is turned off. (7) This hormone is the main way your body breaks down fat. Insulin results in impaired cognitive function because it may "starve" your brain for energy by reducing the amount of glucose that is transported into your brain tissue. As glucose levels rise in the bloodstream they tend to fall in brain tissue due to cellular resistance (a protective mechanism created by your body). So with high insulin levels, not only will you NOT burn any fat for energy. Your brain is dependent upon glucose as a fuel source. Couple this with the fact that chronically high levels of insulin cause systemic inflammation (and brain inflammation), it's a recipe for brain tissue damage and disorder. Treating and addressing insulin resistance is an important factor if you have thyroid disease because it may improve your cognition and also your weight. See my post on balancing hormone levels to reduce insulin and help you lose weight for more information. Treatment: If you are diabetic or pre-diabetic then you have insulin resistance by definition. If this is the case you may benefit from the therapies listed above or from a nutritional ketosis type of diet which has been shown to improve cognition and reduce your risk of neurodegenerative disorders. This diet isn't for everyone, so proceed with caution. You may also find benefit in improving your diet to exclude refined carbohydrates, sugars and bread/pasta. Going gluten-free has the benefit of automatically removing many of these potentially harmful food groups and may be worth considering for more than just gluten-related issues! There is clear evidence that the amount, ratio and type of bacteria in your gut (8) can have a profound influence on your brain function. Your gut even produces neurotransmitters like serotonin. Hashimoto's and hypothyroidism both may impact the composition of this gut bacteria due to the influence that thyroid hormone has on intestinal kinetics. Thyroid hormone helps your intestinal tract move forward through the motion of intestinal motility. A lack in thyroid hormone may result in decreased transit time and predispose you to develop conditions such as constipation. As your intestinal tract slows down the bacteria composition in your gut may change to favor bacteria that do better in this environment. If you have an imbalance in these bacteria or an overgrowth of bad bacteria, this can cause changes in brain function. These imbalances may lead to symptoms such as depression, anxiety, and even fatigue. How do you know if you have gut imbalances? If you have any of the following conditions it is likely your microbiome is out of balance: GERD or reflux, IBS or irritable bowel syndrome, IBD, constant gas, bloating after meals, diarrhea and/or constipation. Treatment: Treating the gut requires a comprehensive program and should be tailored to your specific needs. That being said, probiotics and proteolytic enzymes should be a part of almost every regimen. One other area worth mentioning is brain-based fatigue. Brain-based fatigue should be differentiated from traditional fatigue even though they both present in a similar manner. In brain-based fatigue your brain becomes fatigued because of inflammation and de-conditioning which can present as either full body fatigue or neurological changes (brain fog, poor concentration, or poor memory). Brain-based fatigue is something you don't want to miss because it can often be mistaken for full body fatigue, and the treatment is entirely different. Brain-based fatigue caused by inflammation can be treated using the steps outlined above. But in addition to these, you can also "exercise" the brain with certain techniques which may improve neuro pathways. 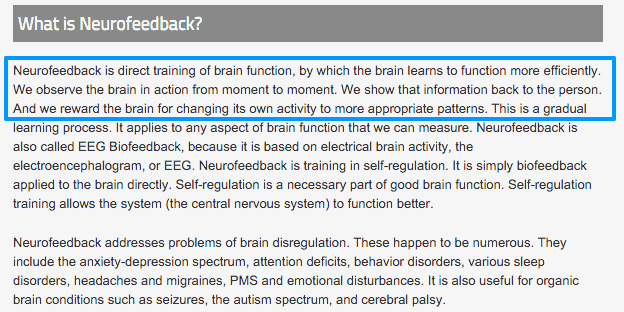 Therapies such as neuro-feedback and biofeedback may help "exercise" your brain and improve neuron connections. Brain fog is a condition which results in decreased mental cognition, mental clarity, and attention span. Brain fog may be exacerbated by conditions such as Hashimoto's thyroiditis or hypothyroidism. Hashimoto's thyroiditis may result in brain fog due to both low thyroid hormone levels and from inflammation due to the autoimmune component of this disease. You can improve your brain fog by attempting to improve your immune system and by improving thyroid hormone function in your body. Making changes such as the foods that you eat, taking certain supplements and taking the right thyroid medication can all potentially help improve your brain. Are you experiencing brain fog? Do you suffer from Hashimoto's thyroiditis? What therapies have you tried to help alleviate your symptoms?